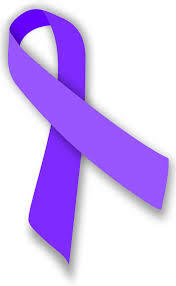 Help us in our mission to end domestic violence by volunteering today. By becoming a community volunteer your talents and time will be put to good use. FVPS welcomes individual volunteers, must be 18 or older and pass a background check. Coordinator will set up an appointment to meet prospective volunteer and discuss opportunities. Once background check is passed an orientation date will be set. Volunteers will be given a list of critical areas where there talents will be put to good use. Administrative Support is critical to the success of programs. Volunteers always needed for computer input, filing and other office needs. Monitors Office located at the shelter, the monitor’s office is the hub of the shelter. Open 24 hours a day, 7 days a week, volunteers assist in residential requests, receive incoming calls, and other such office tasks. Groups are always welcomed, helping hands are needed at the shelter. Group projects are facilitated Monday–Friday, 9 am–5 pm, or in the evenings by special arrangement. Volunteer groups can chose to work on something or the shelter will designate project as needed. Monthly BIRTHDAY PARTY! The last Wednesday of each month a group of volunteers graciously host a birthday party.